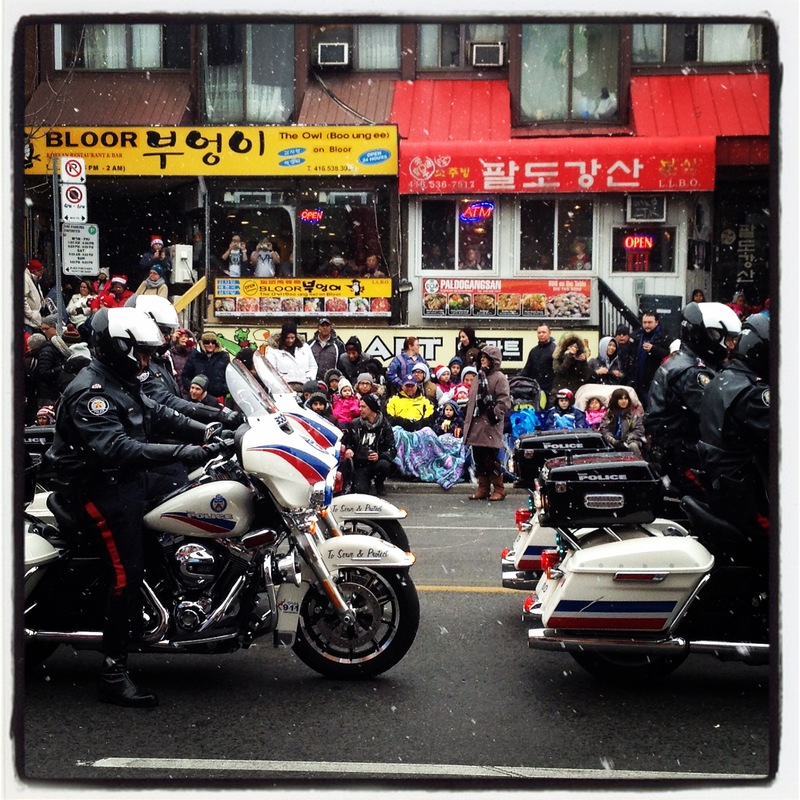 The Toronto Santa Parade is always led by the police motorcade. 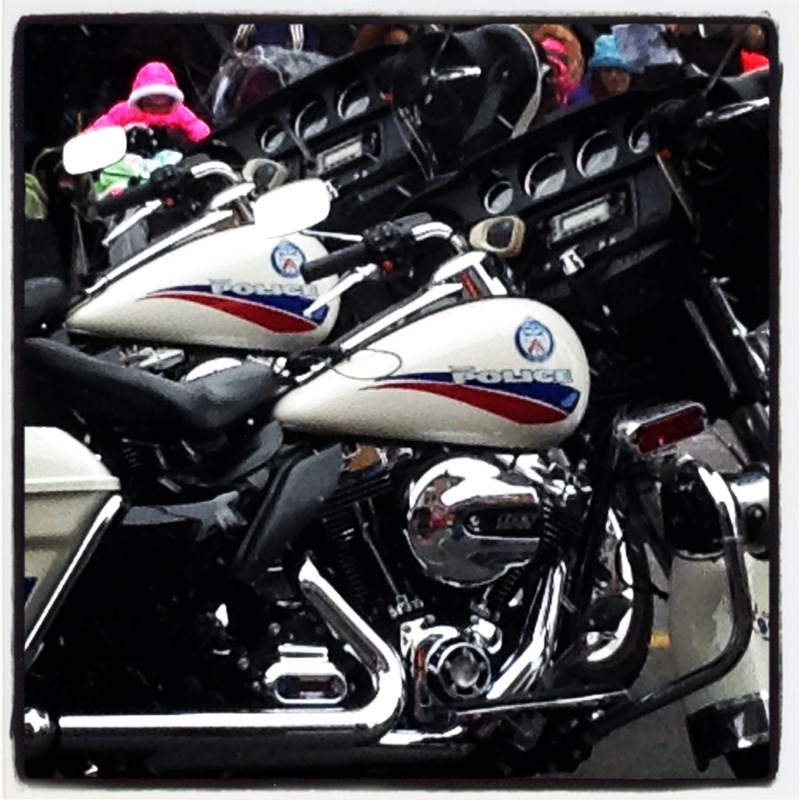 Where we were standing on Sunday gave us a good chance to look at the motorcycles as they were right in front of us. It also gave us the opportunity to snap many pictures. While standing on the sidewalk, we watched the policemen chat among themselves and with people who approached them to admire their bikes and to take pictures of the vehicles. We stayed where we were as we did not want to lose our spot behind the people who were sitting on chairs. Finally the time came for the parade to begin and the policemen were ready to ride. 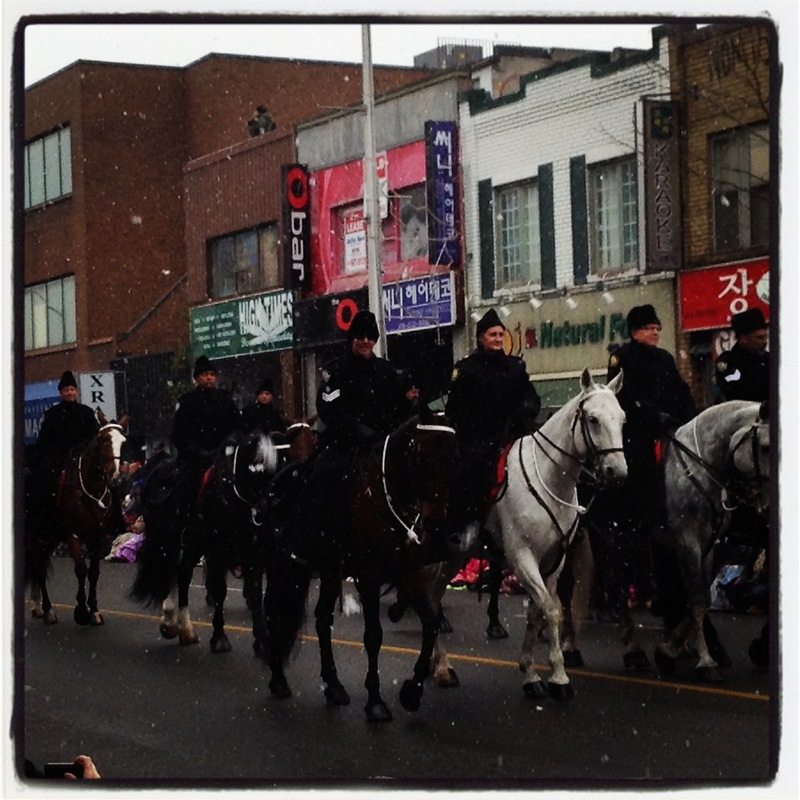 As you can see, the snow was falling down gently but that did not suppress my daughter’s enjoyment of the mounted police. 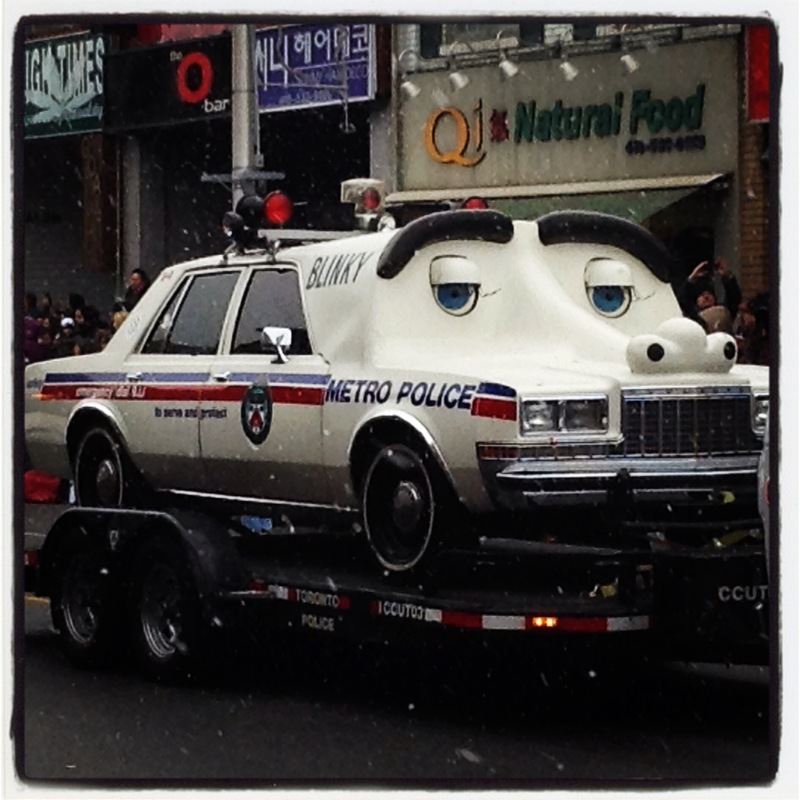 And what seemed to be a character car. I do not know the significance of this car, but I enjoyed looking at it anyway:. The parade got off to a good start and we settled in to watch the rest of the floats and enjoy the music from the marching bands. 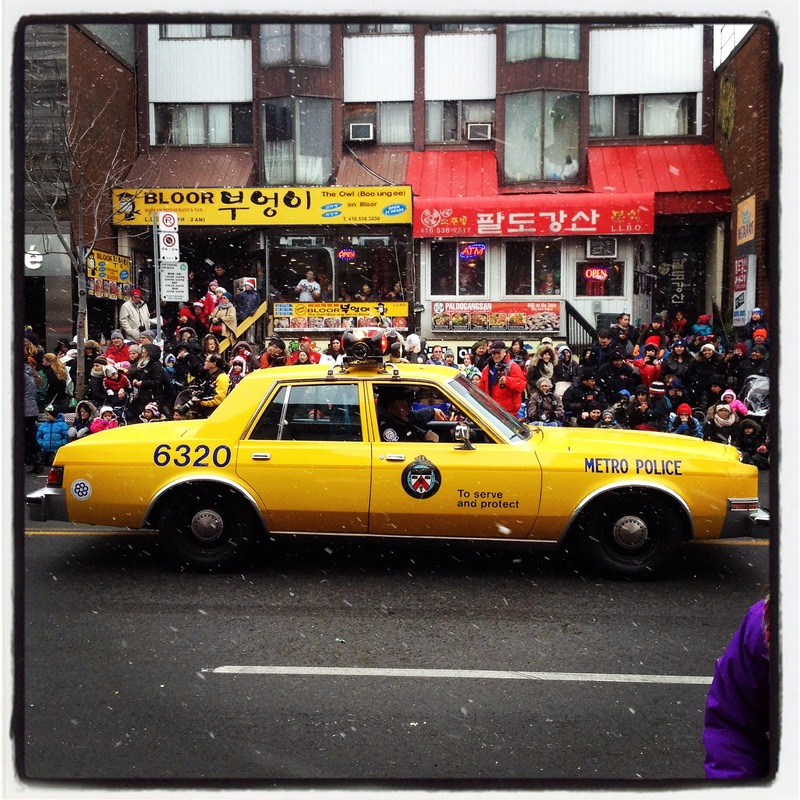 Do you enjoy watching the start of a parade? 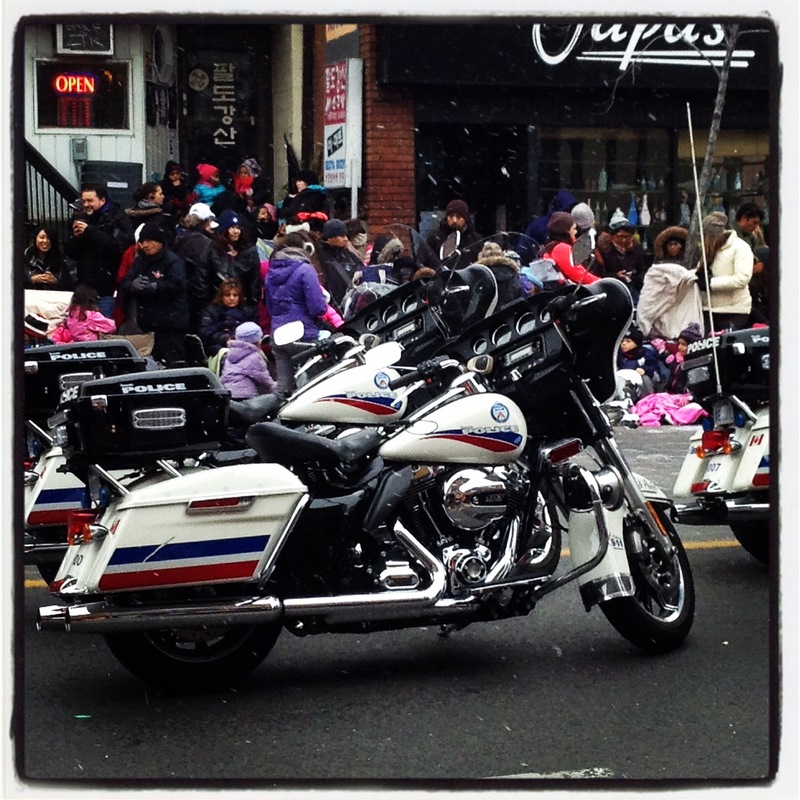 There is always a police prescience at the parade – those who take part and those who are among the crowd. it appears there was quite a large crowd, there. I was surprised there was no snow. For some reason, I figured Canada would be covered with snow by now, until Spring. Thank you for sahring Colline. I love the Blinky float. So cute. It is cute. Do you understand the reference to blinky? I don’t and I would like to find out. I do not. I just assumed that because it was written on it.